No matter what age you are, the Darphin Exquisage Serum (30ml) helps to revive your complexion and reveal your inner radiance! Igniting life from within, this exquisite anti-ageing serum helps to fight signs of age fatigue by reducing wrinkles, stimulating the production of collagen and improving elasticity. Your skin will be left firmer, smoother and more radiant. 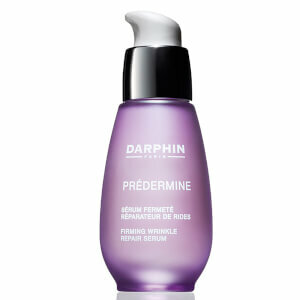 The serum is part of Darphin’s new Exquisage range, that is specially developed for people who want to look as good as they feel. Exquisage products are formulated with the innovative CelluVie Complex, a powerful blend of Acetyl Hexapeptide, Laminaria Digitata Extract, Sapindus Mukurossi Fruit Extract and Xaesalpinia Spinosa Extract to diminish wrinkles and boost cellular energy. With its lightweight texture, the serum is easy to apply and will absorb quickly. It helps you embrace your age and will leave you with a sparkling glow. – N.P. Suitable for all skin types. Dermatologically tested. No parabens. Non-comedogenic. Take 2-3 pumps of the serum and apply it to your face, neck and décolleté. Gently tap it all over the skin.